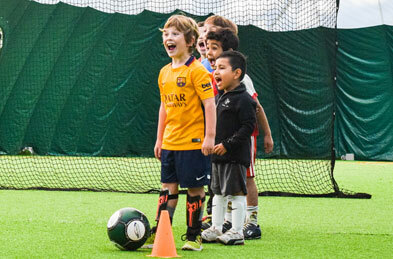 Future Stars Soccer clinics are held in our heated indoor turf facility and coached by our professional soccer staff. Attendees will work on the basics of the game – rules, ball handling, passing, shooting, footwork, defense and more – and progress over the 8-week session length to improve their skills. Registration must be made one week in advance to reserve a spot.